So I am in Atlanta for a couple of days taking part in a consultation with the Fund for Theological Education. The agenda for the time together is to flesh out what mentoring is, what it means to be a mentor, what does it mean in a Christian context, and how do we encourage those we are mentors for. 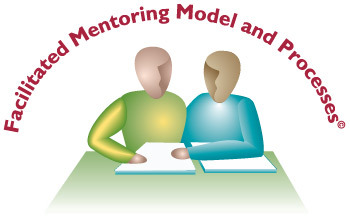 So - mentoring has some bad clipart! It is really an intriguing question. From the beginning of the conversation there were some interesting questions raised. Can mentoring be taught? Is it possible to define or is it too organic? Does attempting to define mentoring limit it? The group assembled is an impressively faithful and diverse one with varied voices from across the country. (As an aside, FTE should plan clergy days). Each of the participants here brings a distinct understanding of what it means to be mentored and to be a mentor. 1. Mentors help clarify our past and potential. 2. Mentors have high expectations and see in us that which we don’t always see. 3. Mentoring is a regular process and requires intentionality. 4. Mentors ask good questions and don’t just provide easy answers. 5. Mentors take us to the woodshed sometimes. Mentoring is a process of affirmation and challenge. 6. There is reciprocity in the relationship – this does not mean equality per se but means mutual respect. 7. Mentors provide strength for the journey. 8. Mentors help us integrate our past with our present while expanding our sense of the possibilities for the future. 9. Mentors give us space and time to re-image and re-imagine our self and communities around us. 10. Mentors help mentees discern what it means to flourish as they follow God. 11. Mentors pray with and for their mentees. 12. Mentors know they will “fail” sometimes. 13. Mentors realize that mentees are not there for them – don’t use them to work out your unmetabolized anger, regret, or pain. 15. Mentoring has a direction and movement forward – it is not re-treading, therapy, or spiritual direction though it may have a bit of all of those. 16. Mentors are “mid-wives” of seasons as they help mentees move into new phases of their lives. 17. Mentors help draw out what has been deposited by others. 18. Mentors help mentees find the grace to pause – the courage and patience to listen for the will of God. 19. Mentors have a clear sense of themselves before trying to guide others. 20. Mentors are engaged with mentees in a process of Christian apprenticeship – helping mentees to discern what it means to live a cruciform life. Through the day we talked about experiences of good mentoring in our lives and careers. I have been blessed in recent years to have good mentoring that has come at key moments and helped provide clarity and confidence. I reflected that there are a couple of moments over the last few years that still resonate – that still carry a powerful poignancy such that I can recall minute details about seemingly commonplace conversations and moments. Oftentimes my experiences as a mentee and mentor are the stuff of quotidian conversations. Yet I have had mentees say “It was so powerful when you said…”. I have had the same experience – I could remind mentors about conversations or moments and I am almost positive they would not remember them. Yet, with the movement of the Spirit being what it is, those moments were exactly what I needed at that time and in that place. Each person at the consultation here had the same experience and you could hear the genuine love in each of their stories. It was a powerful reminder that God uses common men and women to shape other common men and women to follow Him in the Way. This conversation about mentoring has helped me think intentionally about not only my work with Saint Hilda’s House and Ascension but about priestly ministry more broadly. Would the Church benefit from priests thinking of themselves as mentors – as leading our congregations in a process of Christian apprenticeship? It seems so, as so many of the marks of a good mentor are the marks of a caring and discerning priest. We are drawn together in the process of sanctifying our time and space as we come humbly into the presence of God both in our mentoring and Sacramental relationships. We come as beloved sinners before God and ask Him to bring our lives closer to Christ’s – to use our selves and souls and bodies as they are joined to His one great act of sacrificial service and obedience. The Holy Ghost that descends at Baptism, that alights at Pentecost, that comes down upon Body and Blood, comes upon those particular mentoring relationships in which we pray together for God’s wisdom to transform timid souls for the work of foolish and holy boldness. We are sharing together as we walk the way of the cross – as that story becomes ours that we share together. As the memory of Christ, the experience of the Christian community, the life of the Church becomes part of us, our experiences become part of it. Mentoring is a transgressive act for it carries with it the necessity to risk being guided and the concomitant risk to open ourselves and our experiences to others. It requires that we tread into memory and beyond. It demands that we expand our sense not only of our own potential but of the potential for God to make use of us. In so many ways, the Epistle for the coming Sunday lays out the hope of Christian mentoring. We do this work not because any of us has any great thing or work to offer but because God is showing forth His immeasurable grace. We are charged with proclaiming the great gift of God and with helping others to see that path which God has prepared before us to be our way of life. Thankfully, Christian mentorship is not ours alone but it the work of the whole Body – the great cloud of witnesses. We are engaged in the long and arduous work of being made alive, together, by Christ. Mentoring is that intentional work of seeking to become, together, that which we are made to be in Christ Jesus so as to live in such a way that our work (our good works) says something of grace and mercy. I wonder what experiences of good mentoring others have had? It would be helpful to hear how people have had their lives changed or impacted by mentors and what marked those experiences as good ones. How have you been guided along the Way? Thank you for so ably expressing what I have been thinking for a long time and many of my clergy friends as well!